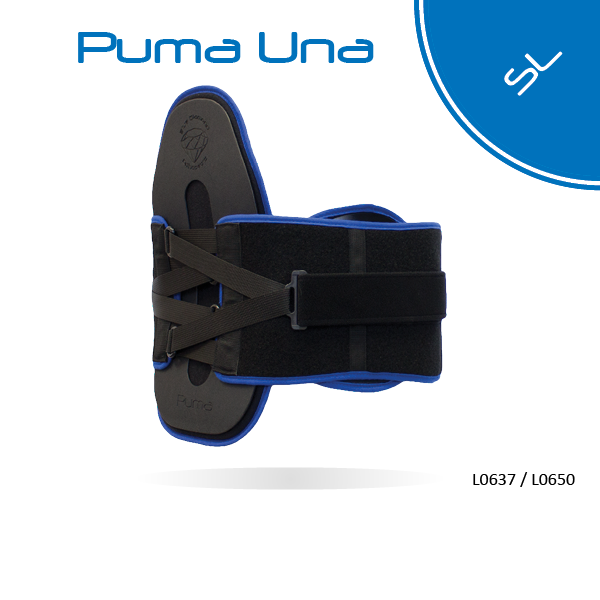 The Puma Una SL delivers comfort and control for the patient with moderate to severe low-back pain. The plush breathable fabric provides the comfort. The rigid Kydex provides the control. The dual cinch straps allow the brace to be smoothly snugged, even by elderly patients with diminished hand strength.